Russia must restore Ukraine’s territorial integrity say MEPs. 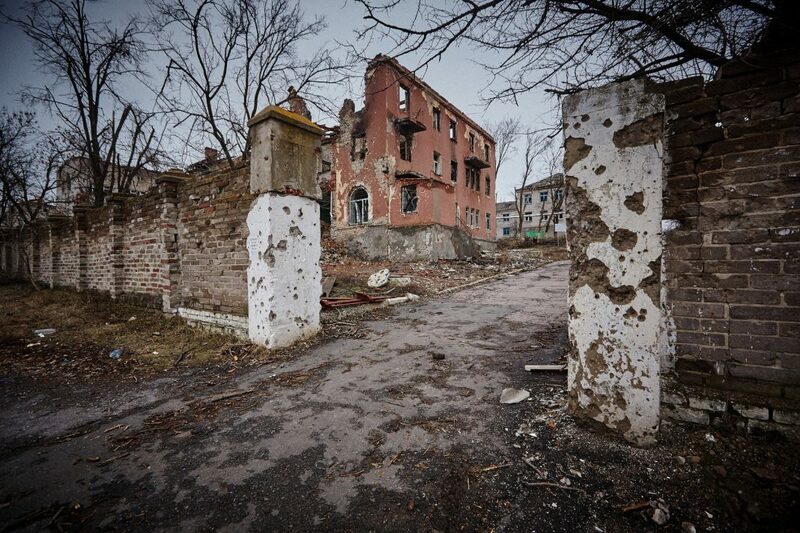 A destroyed building in Sloviansk, eastern Ukraine. They also pointed out and condemned Russian attempts to interfere in EU affairs, namely its involvement in the Skripal case, disinformation campaigns as well as cyberattacks carried out by the Russian intelligence services aimed at destabilising public and private communications infrastructure and at increasing tensions within the EU and its Member States and the countries aspiring to EU membership. Parliament strongly denounces Russia‘s violation of the airspace of EU states, especially in the Baltic Sea region, where territorial waters and the airspace have been repeatedly breached. This disregard for international rules poses a threat to Russia‘s neighbours in the Black Sea, Baltic Sea and Mediterranean regions. MEPs strongly condemned human rights violations carried out by Russian representatives in the occupied territories in Ukraine and in Georgia and Moldova, reiterating that the EU should be ready to prolong its sanctions as long as the Russian violation of international law continues. MEPs condemn illegal financial activities and money laundering by Russia, potentially amounting to hundreds of billions of euros being laundered through the EU every year, which poses a threat to European security and stability. The report underlines that EU countries concerned must end all ‘golden visa/passport’ programmes, which benefit Russian oligarchs. “Today, five years after the occupation of Crimea, we stress that there is no return to business as usual until Russia fully restores the territorial integrity of Ukraine. We need to reassess the basis of our relations with Russia as it can no longer be considered a strategic partner”, said Sandra Kalniete MEP, Vice-Chairwoman of the EPP Group responsible for foreign affairs, whose Report on the state of EU-Russia relations was adopted today by the European Parliament. “The time for nice and diplomatic language is over. There is very little room for any cooperation as long as Russia continues to occupy parts of Ukraine and launch hybrid attacks against other European countries. The outdated EU-Russia Partnership and Cooperation Agreement should be reconsidered and any future framework for the EU-Russia relationship should be based on the full respect of international law and OSCE principles. The common denominator of future engagements should be more for more and less for less”, continued Kalniete. The Report also calls on EU Member States to continue without undue delay on the elaboration of the European Magnitsky Act – the new EU sanctions regime targeted against those responsible for breaches of human rights.